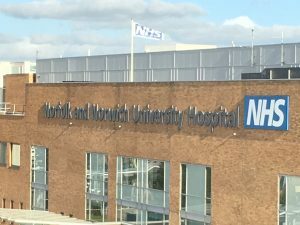 A new service developed in partnership by Norwich and Norfolk Hospitals University NHS Trust and HomeLink Healthcare is freeing up hospital beds at the busiest time of the year. Known as NNUH at Home, the service is being introduced as a pilot project, part of the hospital trusts Winter Plan. Clinically selected patients will be offered the option to leave hospital for the remainder of their recovery in the comfort of their own homes. Their hospital consultant decides on the type of treatment required at home and regularly reviews the patient’s progress. The hospital beds freed up by patients benefiting from NNUH at Home are made available for people booked in for elective treatments and those being admitted through A&E. Once at home patients will be provided with bespoke care services such as nursing, physiotherapy, occupational therapy and personal care from HomeLink Healthcare. These services have been designed from the start to complement existing NHS community services. How can NHS organisations improve their preparation for next winter?